Jay Austin wants to sell used cars in the worst way … and that’s exactly how he does business at his dealership. 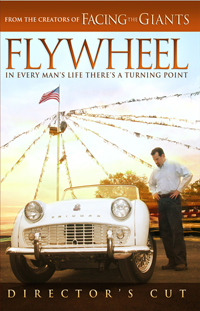 But as Jay works on restoring a classic convertible, he comes face-to-face with the reality of how he truly conducts himself. That starts Jay on the ride of his life as he commits to honoring God with his business, his relationships, and his life! Orders completed by The Source Bookstore from Sherwood. More Flywheel resources can be found here.